This game is unlike any game I have ever seen! This game gets you interactive with the world. Starting with what is around you. You buy your deck & you register your deck. Then you Play it forward… pun on Pay it forward. When playing a card you will be doing something Sneaky or Nice. You can watch a see where your cards end up! We are looking forward to see where they end up! If you found one of our cards let us know!!! So far we have played 3 cards forward. Only one has been tracked. Anyce’s is kinda bummed on this. She wants to see everyday if our cards get tracked. 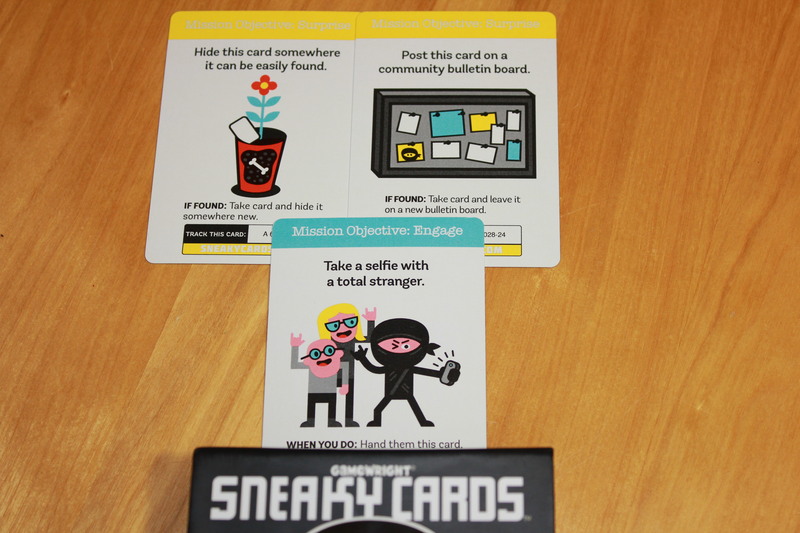 So, the downside to this game… not everyone who finds your cards will join in on the game. Fingers crossed after we play more cards. We see some people getting on and tracking them!